What did you think of Identifying Noun Form as Singular or Plural Part 2 ? 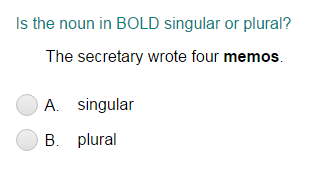 For most nouns, just add -s to make them plural. For nouns ending in s, x, z, ch or sh, add -es to make them plural. For nouns ending in a consonant (all letters except a, i, e, o, and u) + y, change “y” to “i” and add -es to make them plural.